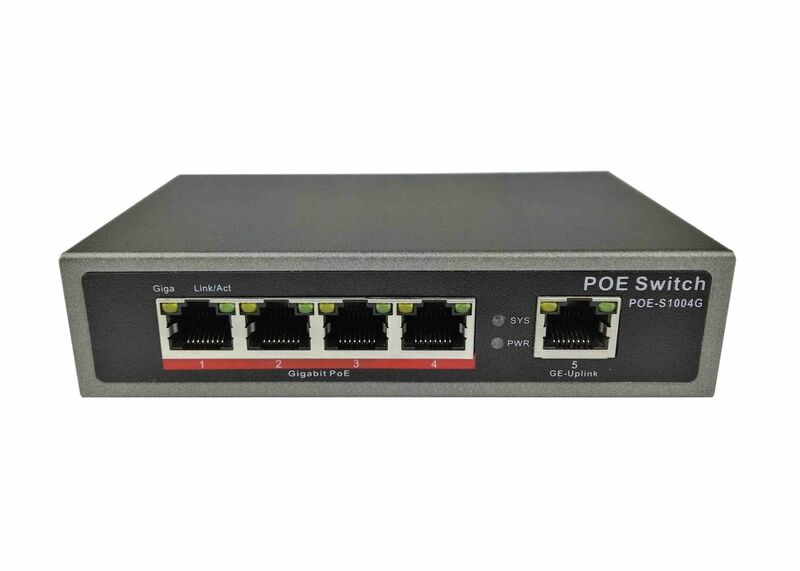 POE-S1004G is a 4 port Gigabit Power over Ethernet switch with 1 port Gigabit uplink, equipped with 65W external power supply and complying with IEEE802.3af/at, which allows it supplies 30W for every single PoE port over Ethernet cable that requiring cat-5 least or those higher quality cables, as the better the Ethernet cable is used the power lost during the transmission will be smaller. 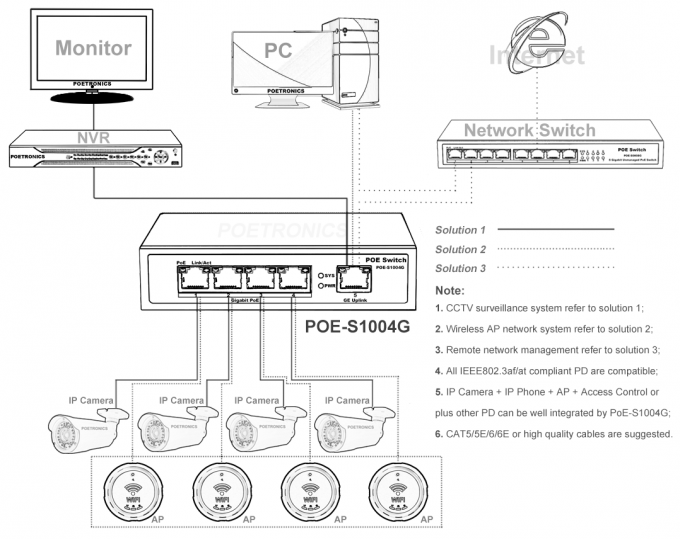 Meanwhile, it has strong practicality and suit for CCTV surveillance installed in household and home office and other network systems such as VoIP Phone, Wireless Access Point, Intelligent Access Control in wherever campus, hospital, government, hotel, office building and elsewhere require Ethernet power source. 4 port Gigabit POE + 1 port Gigabit uplink. Auto MDI/MDIX, Store-and-forward, 10G bandwidth. Max 30W for every single port, external total 65W rated power supply. Operating status can be read and analyzed through corresponding LED indicators on front panel. Applied to CCTV IP camera, wireless AP, VoIP phone, Intelligent Access Control, etc.